TENORIO has charm. It seduces by its delicacy and its purity. It was created by the meeting between the delight of sunny fruits and the freshness of mountain water. A sublime match for a unique taste. A perfect harmony for refreshing fruit drinks available in five flavours : Apple, Red grape, Orange, A.C.E. (vitamins A, C, E) and the fascinating blend TENORIO 11 VITAMINS. 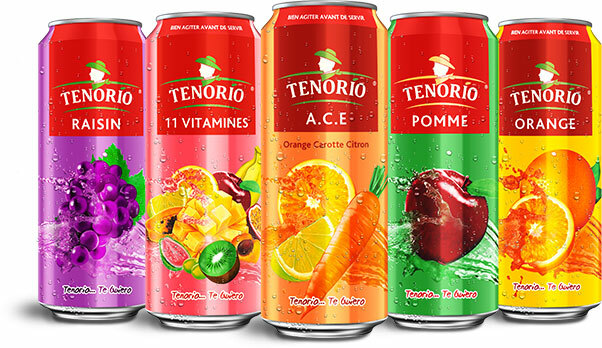 TENORIO 11 VITAMINS, made with spring water and banana, apricot, mango, apple, orange, grape, guava, papaya, passion fruit and lemon juices.